This book is a discussion of and an argument for alternatives to the present structure of production in the United States—alternatives that would change the control of capital and how it is used. 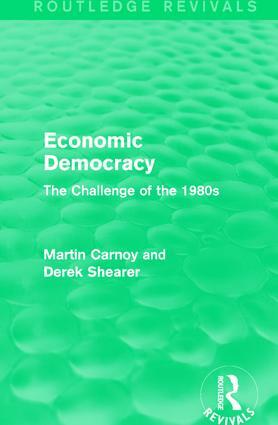 First published 1980, Carnoy and Shearer discuss the economic problems facing the 1980s and argue for a strategy to transform capital from corporations to the public. A book that remains relevant in today’s political economic climate, this title is ideal for students of economics and politics, as well as general readers interested in past and present economic problems and potential solutions. The American Economy: Is This All There Is? What Kind of Welfare State?